This is me trying to be a better person. 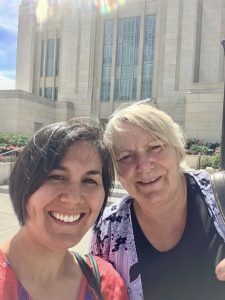 I got to attend a temple in Ogden, UT with my mom. 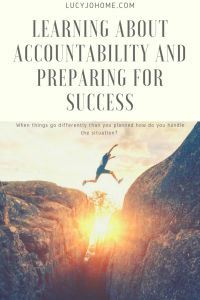 When things go wrong, are you the problem? It is hard to admit when I am the problem. We are late again. Even after five outfits, I look like junk. Can’t I be done with acne at 31 years old? My kids are so difficult. I don’t want to be a mom. I wish Cody was here to help me. I could have gotten up earlier. What I look like isn’t the most important thing. I should have laid out their church clothes the night before. I need to go to bed earlier. My kids follow my lead. Cody is doing something good right now. The painful realization that I am the problem sunk in and honestly, it didn’t help me feel better. I felt worse because not only was I having a difficult morning, it was also my fault. Once I sat down at church, all of the lessons and speakers were sending me a message…you choose your happiness and don’t be selfish, were among the highlights. Is it hard for you to admit when you are wrong? What do you do each day (especially Sunday) to make your life more pleasant and smooth? Clean up the house before I go to bed. Lay out my kids clothes for the next day. Wake up before my kids and get ready for the day. Have at least one chore for my kids so they can contribute to keeping the house. Have at least one fun activity for my kids to do with me. Have at least on fun activity for my kids to do on their own. Take time to do something I like to do. Have a meal plan so that I am not stressed during mealtime. Give myself some room to fail and try again. What would you add to this list? What is a staple for your day as a mother?